Please use this page to request an indicative quotation for work required on your car. Please be as descriptive and honest as possible. 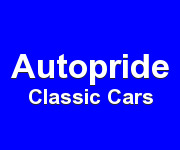 If you would prefer to send pictures to help describe the requirement, please send them to info@autopride.co.uk or include a link in your message to your chosen picture hosting site. Alternatively, please call me direct on 07833 971000. Many thanks.